SEO (Search Engine Optimization) is the processes of getting your site to the top of the search engine results. Effective SEO keeps you there. You can have the most amazing website, but without an effective SEO strategy, your potential customers may never be able to find you, rendering your website essentially invisible. Effective search engine optimization is one of the best tools that an organization has in terms of increasing online visibility. SEO allows prospects to find your website through free, organic search results. The major search engines like Google, Bing, and Yahoo rank websites based on specific parameters. In optimizing your website and increasing your ranking in search engines results, you will gain more visibility and will, in turn, see an increase in visitor traffic to your website. At iCrye Digital Marketing, we take the confusion out of the SEO process. We are constantly researching and developing new and better ways to optimize your site and increase your page ranking. All SEO services are completed manually. We never purchase backlinks to your website that can result in your website not getting indexed by Google, Bing or other search engines. We use only natural, ethical techniques. 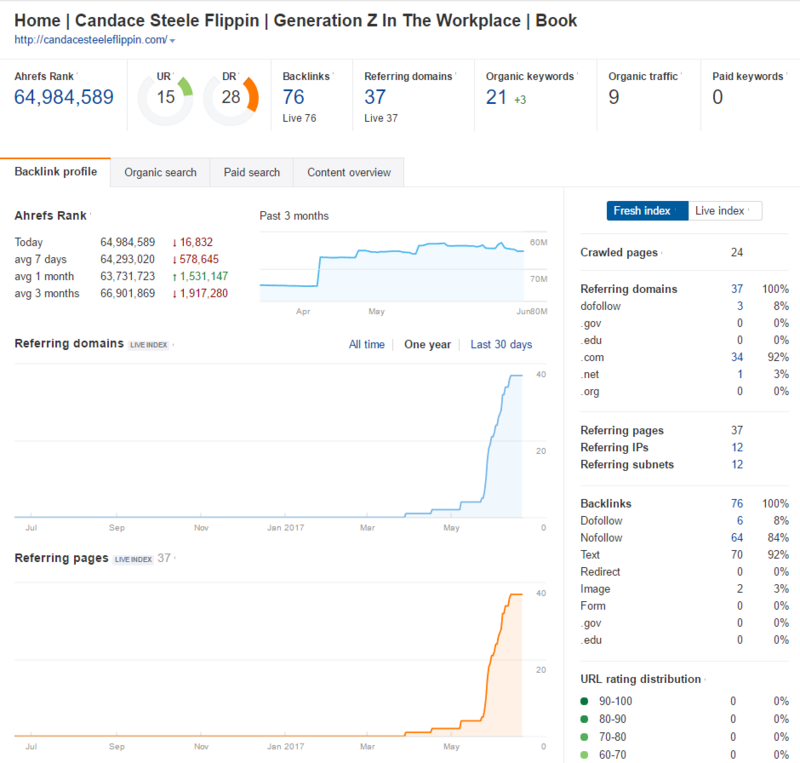 Once first page rankings are achieved we continue to work hard to keep your top rankings as your competitors are continually working to achieve top rankings and search engines change their ranking algorithms. At iCrye Digital Marketing, we practice Holistic SEO. We take into account your entire online presence. We do extensive research of your customers as well as your competitors and create a customized strategy based on the results. Knowing what your customers are looking for and providing that consistently on targeted online platforms, produces sustainable results, faster. 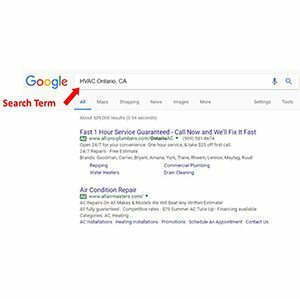 If you’re a small to medium-sized business then showing up on a search engine’s (Google, Bing, Yahoo, etc.) 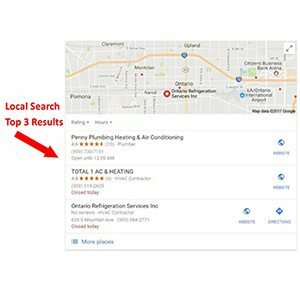 local results is essential to maximizing visibility. 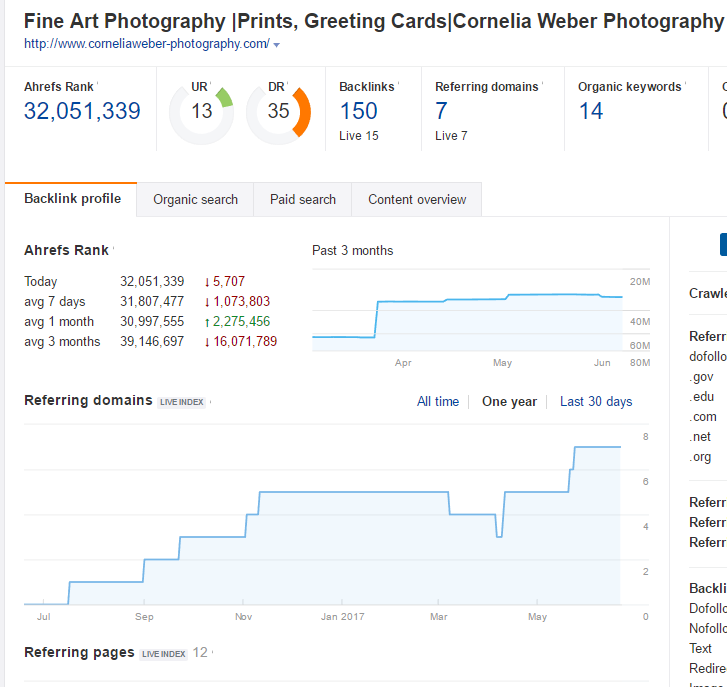 We increase local rankings by building authority, creating and auditing your citations (online business directories) to make sure everything is consistent with your name, address and phone number (NAP). Many factors go into where you rank on a search engine page. There’s no such thing as a “one size fits all” strategy. That’s why we customize our SEO based on your business goals, target market, current customers, prospects and budget. Getting you to rank on the first page of search engines is our goal. It’s what we do. iCrye Digital Marketing’s Holistic SEO strategies improve your online presence, increase traffic and conversions and sustain higher rankings for your website. Research indicates that 91% of searchers do not go past page 1 of the search results and more than 50% do not go past the first 3 results on page 1. We built both of these sites from conception. Both were brand new domain names with no URL history. Are you spending a small fortune on SEO but not seeing any results? 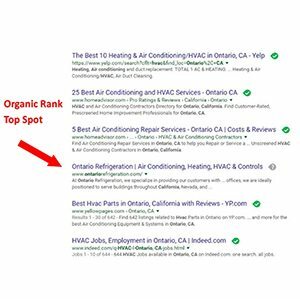 Our team at iCrye Digital Marketing can help you rank in the top 3 for local SEO and on the first page for organic searches! Where do you rank on Search Engines compared to your competitors? Are there optimization issues that are preventing your website from ranking higher? What keywords do you rank in? How many local directories, blogs, or sites, are linking to your website? Is it responsive across devices of all shapes and sizes? Does your website reflect your company, brand, services, and people? Find out if you've been wasting your money, or if your site is doing well with our FREE report that outlines your website's SEO strengths and weaknesses. At iCrye Digital Marketing, we don’t believe in a one-size-fits all SEO strategy. We believe every client is unique and devising a comprehensive and effective SEO strategy should be just as unique. Every iCrye audit is tailored to our client’s goals, needs, budget, and target market.We will conduct a thorough investigation to find out everything there is to know about your target audience and how we can utilize your website’s content to drive traffic and turn your visitors into paying customers. By listening to you and determining your business needs, we will put together a successful plan that will help you accomplish your goals and change the way you do business online. A successful SEO strategy is about building a company’s online presence. Our consultants take the data we’ve gathered and customize a unique strategy that is tailored to your specific goals and target market. Your success is our success….literally. At iCrye Digital Marketing, we know how important reputation management is, so we do everything we can to produce the quality and results that our clients expect and deserve. Your reputation depends on effective SEO and so does ours.